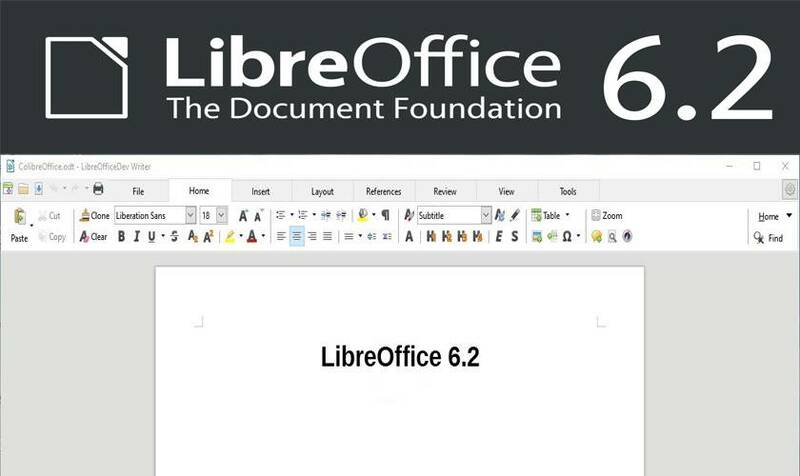 The Document Foundation yesterday announced the release and immediate availability for download of the popular free and open-source office suite, LibreOffice 6.2 for Windows, Linux and macOS. It comes six months after version 6.1 was released in August last year. The significant major release of LibreOffice 6.2 is the NotebookBar, which was in an experimental phase for quite some time, is based on the MUFFIN concept (“My User Friendly & Flexible Interface”). The NotebookBar is available in three variants: Tabbed, Grouped and Contextual and is not enabled by default. Each flavor has a different approach to the menu layout, and complement the traditional Toolbars and Sidebar. “The Tabbed variant aims to provide a familiar interface for users coming from proprietary office suites and is supposed to be used primarily without the sidebar, while the Grouped one allows to access “first-level” functions with one click and “second-level” functions with a maximum of two clicks,” says the official blog post. Further, LibreOffice 6.2 will be the last version for which the project offers Linux x86 32-bit binary packages. You can find all the details of the latest LibreOffice version here and also a short video on the same. LibreOffice 6.2 is available for download for Windows, Linux, and macOS.